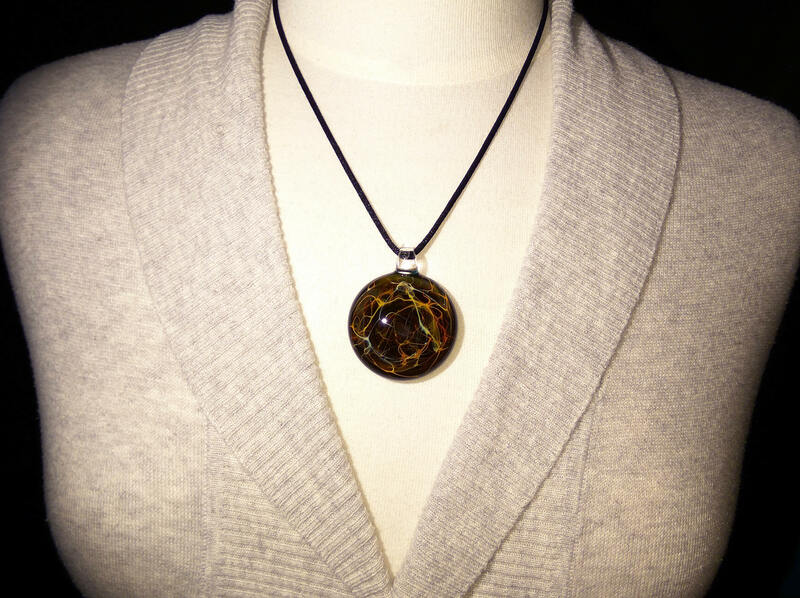 Heady Earth Necklace - Boro - Blown Glass Pendant - Lampwork - Glass Jewelry - Free Shipping - Universe - Heady Glass - Ready to ship!! New!! Heady Boro Glass Pendant. 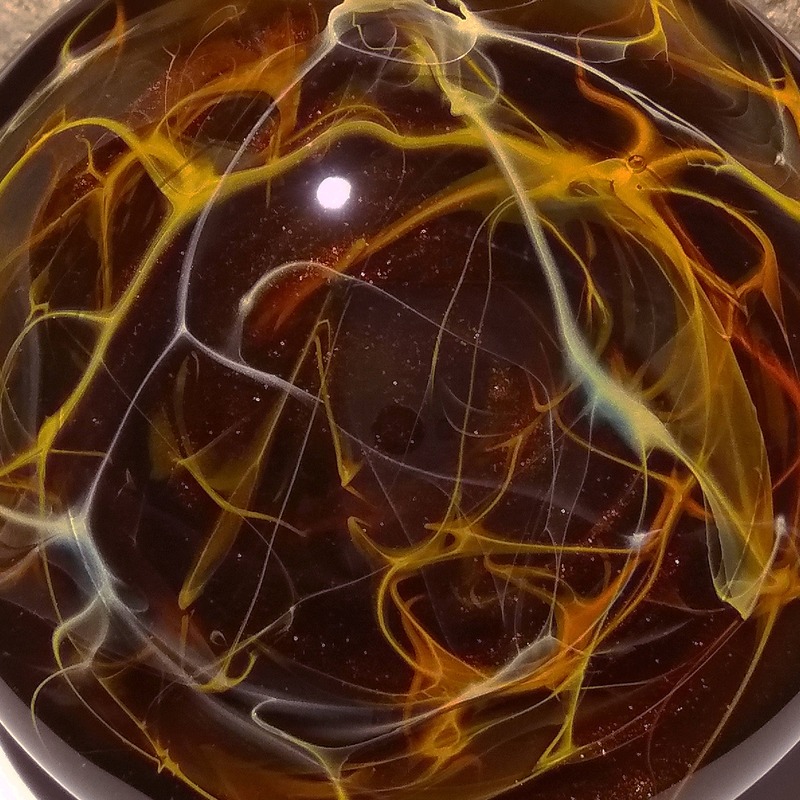 A nice example of the "Universe Filament Series" made with fine details of pure silver fuming and colored glass. A unique and captivating universe design that brings light & energy. 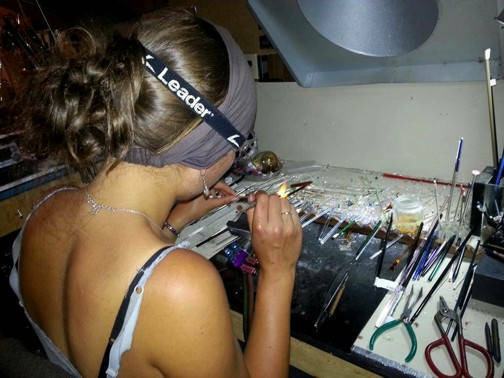 By far one of the most beautiful examples of wearable glass art! Each piece is artist signed. 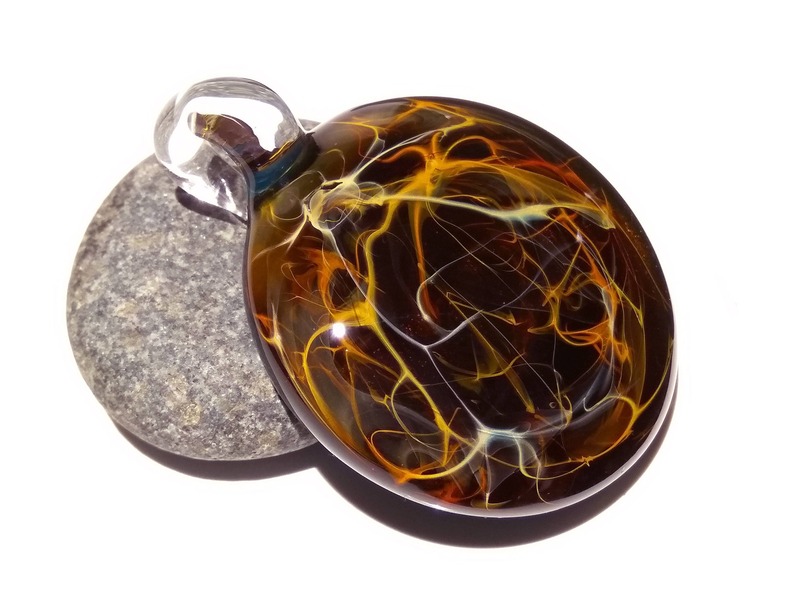 This Heady Universe Pendant has a strong loop and comes with a satin cord that has a double adjustable slip knot. 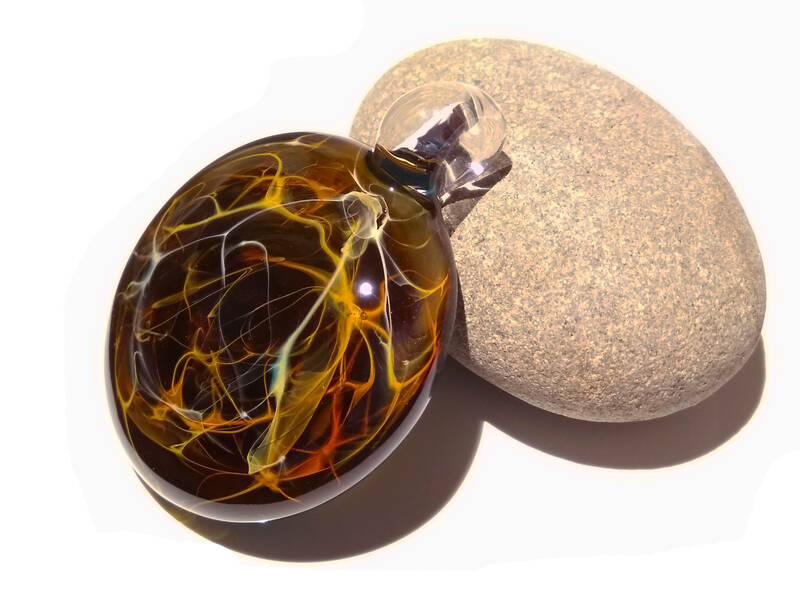 This glass pendant will look beautiful on a silver or gold chain. It's ideal for your new Necklace Project! It is light to wear and gives an unforgettable gift. 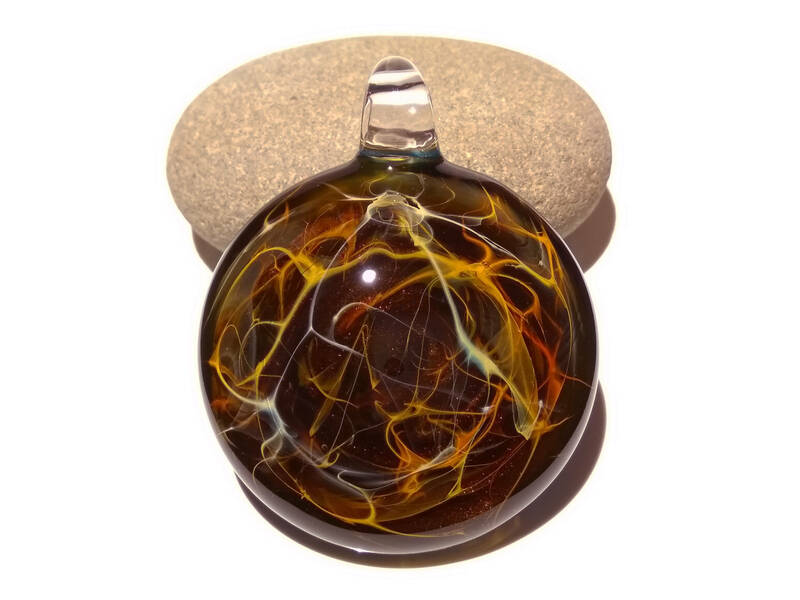 Each Blown Glass Pendant is Heady!! It has a high-gloss finish that is smooth to touch.